Leftover Pumpkin Ravioli from dinner with friends. 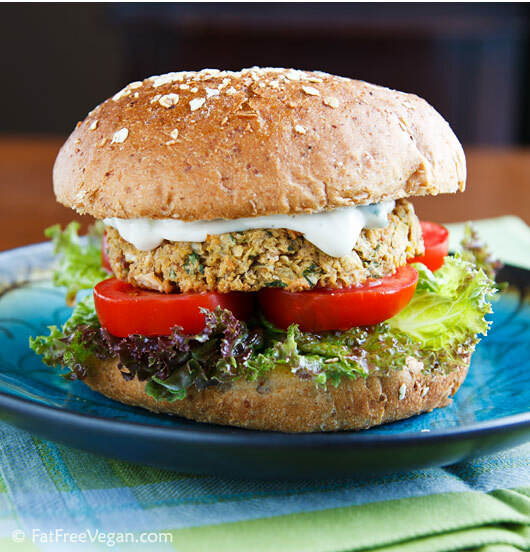 Chickpea Burgers from www.FatFreeVegan.com I can’t wait to try these. BTW, have you noticed we have a lot of chickpeas hanging around here that we’ve got to get rid of?